You may have missed the incredible amount of recent headlines on climate change. The sheer volume of climate-change related stories that “crossed our desk” within a 48-hour time period was stunning (to put it mildly). This news, however, that will have dramatic impact on our planet and the very existence of life as we know it, appears to be unable to break through the non-stop Orwellian speak that emanates from just about everywhere these days. To coin an old phrase, it appears we are fiddling while we literally are burning. The one story that has penetrated the news cycle to some degree has been the reports on the wild fires in California, which are still causing havoc across the state. But California is not alone. 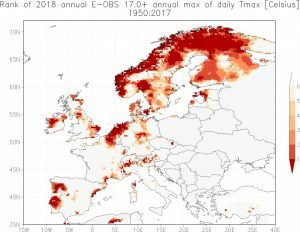 Wild fires in the arctic circle, Canada, and the Pacific Northwest; Japan under sweltering heat; Europe recording temperatures never seen before. And anecdotal stories from friends and family about rain storms that stall causing downpours that dump 8-10 inches of rain at a time. We were so astonished at the never-ending climate change stories in a two-day period that we thought we would share a digest of some of the headlines we saw…ICYMI. 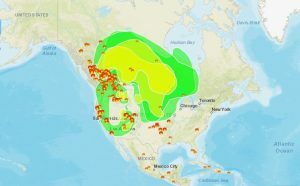 “…While wildfires are geographically limited by nearby fuel sources, wildfire smoke goes wherever the wind takes it. Carried on eastward-flowing air currents, dangerous particulate matter from wildfires is increasingly smothering large swathes of the US, causing health scares wherever these air pollution spikes hit. Welcome to the United States of Smoke. National Geographic reports: Exclusive: Some Arctic Ground No Longer Freezing—Even in Winter: “Every winter across the Arctic, the top few inches or feet of soil and rich plant matter freezes up before thawing again in summer. Beneath this active layer of ground extending hundreds of feet deeper sits continuously frozen earth called permafrost, which, in places, has stayed frozen for millennia. Common Dreams provides information on the report: What Lies Beneath: The Understatement of Existential Climate Risk: In it, the report released Monday… argues that the reticence of the world’s scientific community—trapped in otherwise healthy habits of caution and due diligence—to downplay the potentially irreversible and cataclysmic impacts of climate change is itself a threat that should no longer be tolerated if humanity is to be motivated to make the rapid and far-reaching transition away from fossil fuels and other emissions-generating industries. In the new report—titled What Lies Beneath: The Understatement of Existential Climate Risk authors David Splatt and Ian Dunlop, researchers with the National Centre for Climate Restoration (Breakthrough), an independent think tank based in Australia, argue that the existential threats posed by the climate crisis have still not penetrated the collective psyche of humanity and that world leaders, even those demanding aggressive action, have not shown the kind of urgency or imagination that the scale of the pending catastrophe presents. 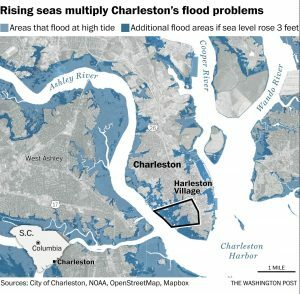 The Washington Post reports on Sea level rise is eroding home value, and owners might not even know it. On a broad scale, the effect is subtle, the studies show. The sea has risen about eight inches since 1900, and the pace is accelerating, with three inches accumulating since 1993, according to a comprehensive federal climate report released last year. Scientists predict the oceans will rise an additional three to seven inches by 2030, and as much as 4.3 feet by 2100. And this is but a handful of the stories. Climate change – the story we want to ignore and, in some cases, deny. And who can blame anyone for that? But denial and avoidance – in the end – will not make the science of climate change go away. Yes, we can all do our individual tasks to help as we can. But the crisis we face demands large-scale, global, governmental intervention. It’s what government was designed to do and in decades past did. It’s up to all of us to demand of every political candidate – from local to national elections – that climate action be a part of their top priorities. We leave you with a quote we’ve used before from social psychologist Diarmuid O’Murchu, whose book Catching Up with Jesus: A Gospel Story for Our Time presents a unique way of looking at the interconnectedness of all living things. In it, he presents a Jesus of Nazareth who carries on a conversation directed at us in the 21st century. O’Murchu ends the book with wisdom and a future vision as articulated by this Jesus. “Everything lives on in a creative universe like ours…And energy carries information, the cumulative wisdom of the ages…My friends as you emerge from the oppressive power that has entrapped you, you will discover once more what intuitively you knew so well for thousands of years. 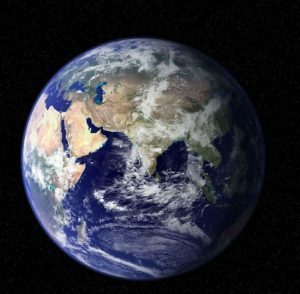 This is a wise universe; ours is a wise earth…So, why are you humans behaving in this strangely stubborn and unenlightened way…Look around you and contemplate the wonder of all that exists in creation. Everything works in cooperative fashion as it is designed to do; and within that cooperative endeavor is a great deal of freedom and choice. “If you choose to destroy yourselves, I am not going to play the rescuing parent. You have got to grow up and become adults. There is no space for childish power games in my relational matrix…Get into your hearts and see with the eyes of deeper vision. That is what will give you hope and meaning. And thereby you’ll access the wisdom that will enable you to live differently…Keep your attention on learning to relate rightly: with the cosmos, with the earth, with all creatures inhabiting creation, and all will be well. We were so astonished at the never-ending climate change stories in a two-day period that we thought we would share a digest of some of the headlines we say…ICYMI. I was surprised this morning when I saw “The British Clare Hollingworth Award” account retweet a retweet of mine. (Boy, how news travels these days). The originator of this activity was the industrious David Sirota, the Senior Editor for Investigations at The International Business Times. 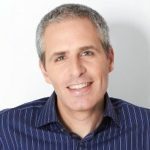 Sirota is one of the last bastions – for those of us old enough to remember – of what real investigative journalism looked like. The team I work with is very small — just me and 3 reporters. We don’t do hot takes. We do original reporting. Here’s our work over just the last 12 days. I am proud of our team — we focus on breaking real news. These are stories you could find nowhere else. I am tired. Onward. To my surprise (twitter always finds a way to surprise me), a retweet came from the Clare Hollingworth Award as noted above. I had no idea who Clare Hollingworth was. 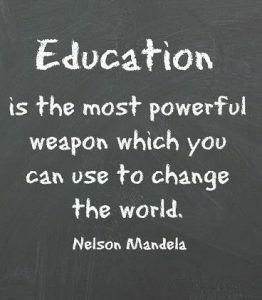 No time like the present to learn. One becomes more eager to discover who she was when the headline: The Correspondent Who Scooped the World pops up. In a day and age when women’s voices are becoming stronger and the need for independent journalism has never been more acute, we are happy to pass along a bit of information on this incredible journalist and invite you to go deeper and find out more (see links below). It was even more amazing to learn Clare just recently died on January 10, 2017 – at the age of 105. 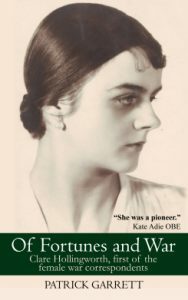 She witnessed the outbreak of the Second World War on September 1, 1939 when, as a novice Daily Telegraph stringer, she was woken at her hotel in the Polish town of Katowice by the sound of anti-aircraft fire aimed at German bombers. Opening her window to hear the roar of bombers overhead, she rang the paper’s Warsaw correspondent Hugh Carleton Greene; he was assured by a sleepy official at the foreign ministry that it must be an exercise because talks were still going on. “Are you sure, old girl?” he asked. In the year leading up to the start of World War II, Hollingworth was in Poland arranging the evacuation of more than 3,500 political and Jewish refugees to Britain, earning herself the nickname “the Scarlet Pimpernel” from Britain’s press. Hollingworth had saved thousands of lives by regularly circumventing British immigration bureaucracy, which due to its heavy vetting process would have left many in the clutches of the Third Reich. In a male-dominated profession in an era that witnessed women being pushed “behind the lines,” she continued to report from nearly every European and African front during World War II, and she went on to cover the Algerian War (1954–62) and the Vietnam War (1954–75). In 1963, reporting for The Guardian, Hollingworth unmasked Kim Philby as a Soviet agent, and 10 years later she opened a Beijing bureau for the Telegraph. Her professional determination to dig out world news – from war-torn Europe in the 1940s to Mao’s isolate China in the 1970s – was complimented with compassion for the sufferings of humanity. I dare say, where today in the corporate controlled gate-keeper world of today do we hear that? In honor of Hollingworth’s memory, we invite you to “read more about it” and recall a time when journalists brought us a far more honest view of what was happening on local, national, and international fronts. Clare Hollingworth dies aged 105: Telegraph correspondent who broke the news of World War II passes away in Hong Kong. Click here to read more. Time’s account of her life written on her 105th birthday: The Correspondent Who Scooped the World. Click here to read more. A look back by the Independent on her life and work. Clare Hollingworth: Who was the trailblazing journalist who broke WW2? Click here to read more. 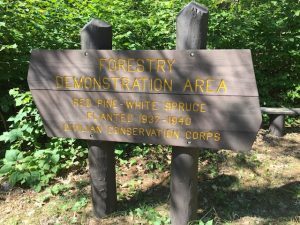 A recent trip to Itasca State Park, in the great state of Minnesota, prompted many thoughts back to the days of the Civilian Conservation Corps, a federal government program started by President Franklin D. Roosevelt in 1933 amid the worst times of the Great Depression. Positive CCC impacts fill this park at every turn, including the Welcome Center with its great exhibits and nod to history. Without the CCC, where would this park or thousands of other national and state parks be? 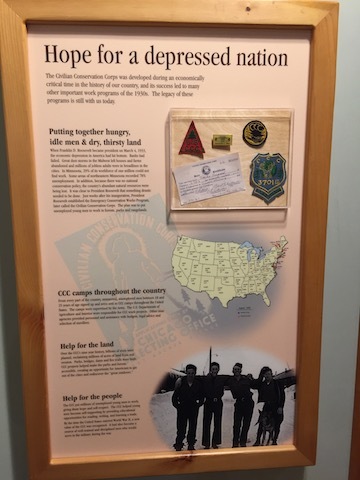 The Welcome Center at Itasca State Park provides visitors with a great history lesson on the CCC. Here’s a short refresher on FDR and the incredible work of the CCC. FDR established the CCC by executive order on April 5, 1933 shortly after his presidential inauguration in March. It came as no surprise that Roosevelt would focus on something that blended his love of nature with a program designed to put idle hands to work for the common good. Roosevelt grew up surrounded by outdoor activities, which generated a love of water, forestry, and ornithology. In 1912 as a New York state senator, some of his first legislation introduced centered on bills concerned with forestry and hunting and fishing regulations. In the 1920s, Roosevelt directed conservation camps for boy scouts. And Roosevelt’s slim margin of victory for the New York governor’s seat in 1928 is often credited to his outreach to upstate and rural districts. Some suggest that without farmers, riverkeepers and conservation-minded voters pushing Roosevelt, he probably wouldn’t have been elected governor. 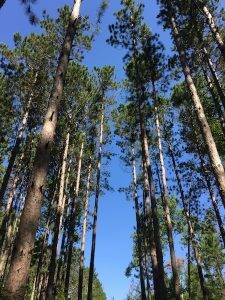 Pine trees planted by the CCC in Itasca State Park bring joy to visitors today. A great conservation legacy. Within three months of its creation, the Corps had enlisted nearly 250,000 young men. They were assigned to CCC camps around the nation. During its nine-year existence, the CCC employed nearly three million young men. It planted over two billion trees, fought forest fires, built trails, campgrounds, and reservoirs, and aided with soil conservation programs. The CCC became one of the New Deal’s most popular and successful programs. The CCC was responsible for the recreational building of the Shenandoah National Park as well as for the preservation of the Joshua trees in Southern California. CCC workers helped to stop shoreline erosion in the Carolinas, and every state in the nation benefited from their work. In Utah, for example, CCC projects included improving grazing conditions on rangelands, conserving water, controlling rodents and constructing hundreds of miles of fences and guardrails along large water diversion damns. The CCC was crucial to establishing the first state parks in Virginia, West Virginia, South Carolina, Mississippi, and New Mexico. They built service roads, sewers, water and electrical systems, bridges, footpaths, restrooms, and new campgrounds. In Itasca State Park in Minnesota, for example, the CCC built the beach at the public swimming area by bringing in the sand (how in the 1930s does one bring in enough sand to create a beach?) and placing it on the ice covered waters in the middle of winter. Then when the ice melted in spring, the sand sank and created a beach still in use today. Eleanor Roosevelt, greatly dissatisfied that women were being kept out of the CCC, fought mightily for female workers to be part of the CCC. But only 8,500 women participated in the program from 1933-1942, compared to the nearly three million men. Similarly, Native Americans and African America workers were included, but at disproportionate numbers. As the U.S. moved into wartime activation in the 1940s, the CCC camps came to a close with little fanfare. Yet the work done by the CCC workers in public forests and parks remained as a proud reminder of what we can do when we pull together for the betterment of our species and the world in which we live. Even FDR’s CCC alone cannot fix the planetary environmental crisis we face today. We were warned decades ago about the ravages such as Hurricane Harvey that awaited us – and we chose to ignore them. But by remembering the past efforts of those like the young men and women of the CCC, we can find our own story to create for the 21st century protection and enrichments of our lands. Take a look for example what they are doing in London. Planting trees, not only good for the environment, but good also for the economy. What would a CCC look like in the 21st century? Different of course, but the core elements would remain the same. It would teach us the importance of conservation; our inter-contentedness to all living things; a respect for nature. We have seen great outpouring of our generosity of spirit to help those in need after the ravages of Hurricane Harvey. But there is another proactive way we can help our fellow citizens. Pay attention, fight for the environment, and tell the stories of the past to remind people that yes, when we come together for the common good, we do great things. We owe it to FDR and the CCC to keep the flame of hope alive in the 21st century. 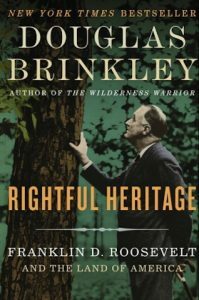 In addition to making sure you read brochures and displays at your state and national parks about the great work done by the CCC, we encourage you to pick up New York Times’ best selling author Douglas Brinkley’s tome, Rightful Heritage: Franklin D. Roosevelt and the Land of America. The book focuses on FDR’s great love for the natural world, which started in his youth and followed throughout his political career. Wildlife restoration, emphasis on the national parks, soil conservation, migratory bird protection, hunting and fishing conservation – and dare we forget the duck stamp. All of these are FDR’s conservation and ecology legacy. Anyone who has read us, followed us, or interacted with us since we opened our doors as Wisdom Voices Press, knows we have been strong advocates for a single payer health care system in this country. We have written extensively about it; we have supported candidates who pushed for it; we marched in support of it; and we have tried non-stop to educate others about it through our blogs and interviews. Click here for a complete list of our features and interviews. 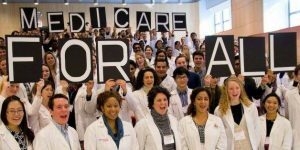 A single payer or “Medicare For All” healthcare delivery system is the only viable plan. We watched the dreadful display in Washington over the past six months as Republican elected officials tried to take health care access away from millions (thankfully, losing in the end). Now, it’s becoming clearer each day that the next stop on the U.S. health care delivery train will be single payer. 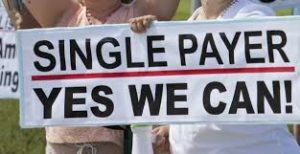 Single payer, which guarantees health care as a human right, as done in every other educated country on the planet. Oh, it won’t be without continued struggle (far more than should be needed for the obvious answer to our current fractured health care delivery system that leaves so many uninsured and underinsured). 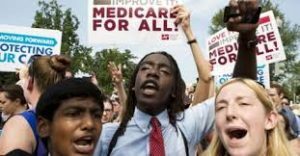 Single payer advocates watched as a promising effort to implement a “Medicare For All” policy in California recently failed after both Democratic houses of the legislature passed it. The Democratic Speaker of the House, refused to move the bill forward for a vote. It’s come close in Vermont too, but was never able to get over the finish line. Corporate controlled (state and national) representatives from both parties run from talk on single payer faster than just about any other topic. But today, those who used to complacently smile at single payer advocates as if to say, “silly you, it will never happen” or those that hem and haw about tweaks to the current system, know as well as the heads of the for-profit insurance companies – single payer is on its way. Single payer is now predicted and supported by the likes of former President Jimmy Carter to billionaire Warren Buffet. And Representative John Conyers, who has introduced single payer legislation for years with his HR 676, has seen a flurry of his Democratic house members cosign the bill this year. Then there’s always common sense. What else is left? The Affordable Care Act after all was the Republican Plan. Formulated in the Richard Nixon era, developed by the Heritage Foundation, and implemented by Governor Mitt Romney in Massachusetts. Or ask yourself, why do we have insurance companies? Are they doctors, nurses, physical therapists, mental health providers? No, they are middlemen and nothing else. 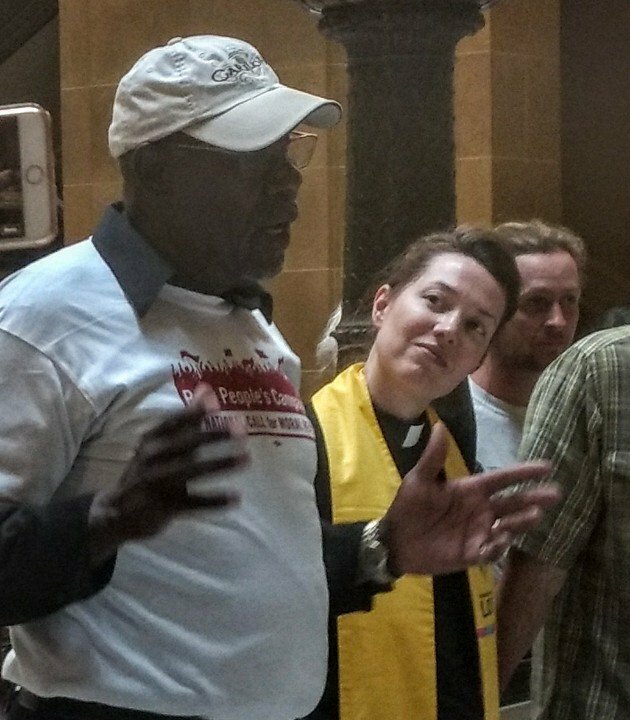 Similar to every other social-change legislation, the push will not come from the top down. It will be up to the grass roots to demand it and to elect candidates committed beyond measure to implement it. So, we recommend that you learn as much about it to educate others about what it is and what it isn’t. Or to quote that old advertising slogan: You’ve tried the rest; now try the best. Read HR 676 and urge your congressional rep to sign off if they have not yet done so. Know the difference between the “public option” and single payer. Read what National Nurses United’s RoseAnn DeMoro has to say on that topic. Watch FixIt: Healthcare At The Tipping Point and engage your local business leaders to push for single payer as an economic necessity for their business. Engage, engage, engage. 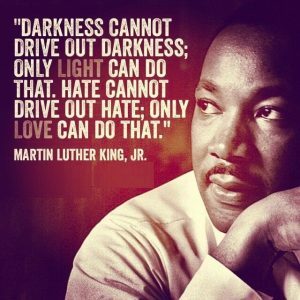 It’s up to us to be the change we want to see. 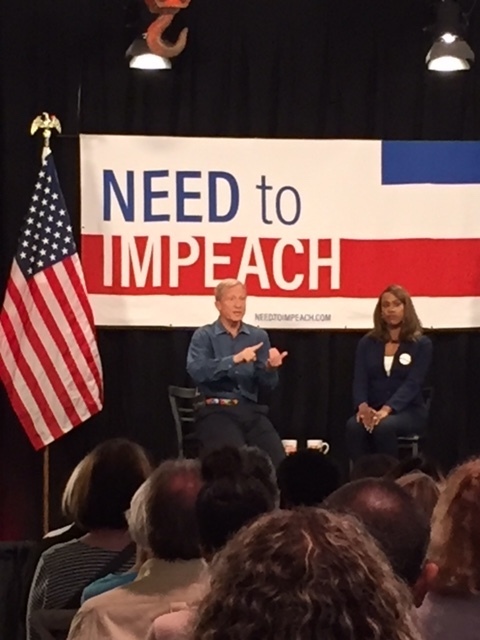 We started in January with the Women’s March and have continued non-stop with healthcare demonstrations and showing up at town halls. Don’t stop. Democracy after all is about We The People, not We The Corporations. 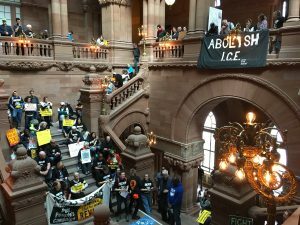 Read LeeAnn Hall’s (People’s Action) piece on how people, not politicians, beat the healthcare repeal bill. One of the great benefits of working within the single payer advocacy movement is meeting and getting to know the great people who will never give up until “Medicare For All” is enacted in this country. One of the best of the best is actor Michael Milligan. His award winning play, Mercy Killers, and his newest venture, Side Effects, takes a look at changing hearts through dramatic presentation and story telling. He has now combined efforts into the “The American Mercy Tour” which will be playing in Chicago September 7 through October 8 at the Greenhouse Theater Center. 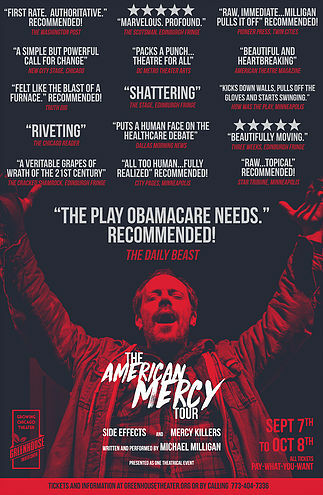 In Mercy Killers, Joe, a blue-collar red state auto mechanic, faced with his wife’s failing health must grapple with the stark divide between his values and his reality. Pushed to the breaking point by debt, disease and a busted system, Joe must decide what compromises he will make to keep his wife alive. Mercy Killers is all at once a tender love story and an unblinking look at those the system leaves behind. Flipping to the other side of the stethoscope, Side Effects follows William, a family practice physician on the brink of burnout. Caught between his ambition to become the healer his father once exemplified and the corporatization of his chosen profession, William must reconcile the art and business of medicine, or be forced to lose his practice. In this Chicago premiere, we see the human side of those who heal us, throwing light onto the turmoil that remain out of sight from the examination table. If you’re in the Chicago area or have friends or family there, these plays offer a way to begin the conversation with anyone on the need for healthcare as a human right. For more information, click here. It isn’t often we find ourselves at a loss for words, but as we close out 2016, we feel what more can be said that hasn’t already been said. We stand at the brink of unchartered waters and wonder – as much as anyone – what will happen as 2017 dawns. We have no predictions, no for-sure remedy’s, no assurances that all will be well in the short term. 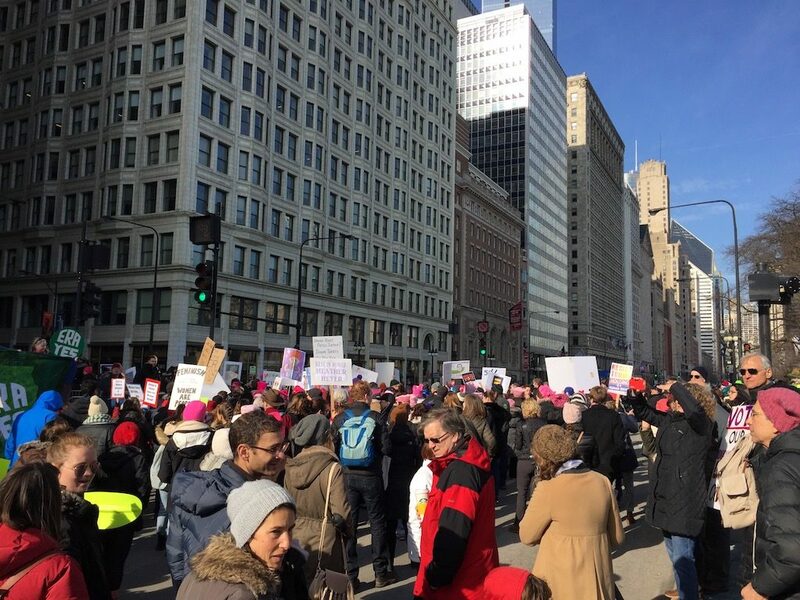 Gathering in large numbers for peaceful, non-violent protest will be key. So we decided to make our last newsletter of 2016 one that reflects on the many people we have talked to or written about since we began this journey. The struggle continues, the fight does not end and we take solace in history – a reminder that the only way out is through. Renew Your Commitment (do something; write a letter, talk to a neighbor, support those on the front lines of peaceful, non-violent protest). 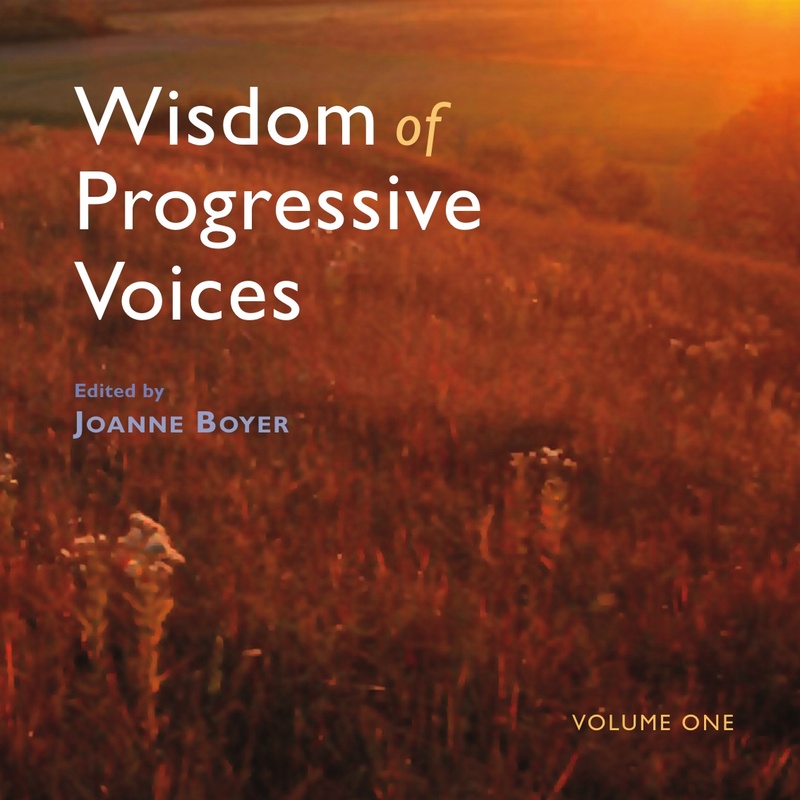 In hopes of staying inspired, we highlight just a few of the great fighters for progressive values we have talked with over the years – or others from history – who remind us to never give up – no matter what the odds. We’ve linked to our individual features (and the dates first published) if you would like to read more about them. 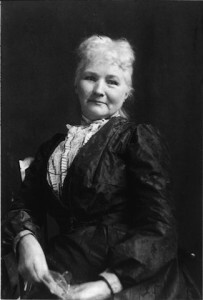 Mother Jones – 2015: The tiny but powerful figure of Mother Jones, typically clad in a black dress, her face framed by a lace collar and black hat, stared down company goons with guns, encouraged fearful strikers whose resolve would falter during month-long strikes, and went toe-to-toe with the powerful politicians of her day. Mary Jones lost her four children and her husband to a yellow fever epidemic after the Civil War. No surprise that she made children and their plight part of her fight for better living conditions. 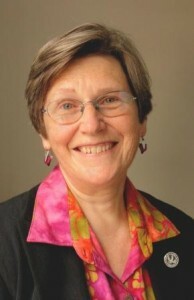 David Bender 2013: “As long as the institutional levers of power are controlled by the military and intelligence community and contractors and the corporations that are doing billions if not trillions of dollars worth of business and who set public policy based on their agendas and not that of the American people, nothing will change. That’s what I see as the challenge. That means we have to come up with a new way of dealing with this. We have to find ways for people to use the power they have—the power of the ballot is not what it once was. In fact, voting has become more theater than substance. We need to find a way to harness the power of the American people and the power they’ve got is strength in numbers, which can overwhelm the likes of the Koch Brothers, no matter how much money they have. The Koch Brothers can influence public policy but they cannot buy 300 million people. They can distract them; they can mislead them; they can pay for networks like Fox News but they cannot buy the people. And where I see the future and hope is that ultimately through this new technology with a platform like we have with Progressive Voices, we’re going to reach the next generation and they’re going to recognize something that Europeans have recognized for a long time. When Europeans have a situation in which workers’ rights are taken away—as they were in Wisconsin—they stop working. When consumers see a situation in which they are being exploited by large corporations who double and triple oil prices, then the only power you have collectively—if we were to harness it—is to simply tell those corporations ‘no.’ You don’t have our money. We are not going to buy your products; we aren’t going to participate in whatever this anti-union, anti-worker system is. 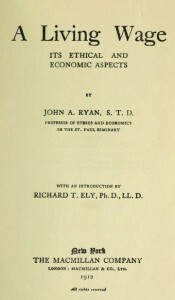 John A. Ryan 2013 and the origins of a “Living Wage”: Considered to be the foremost social justice advocate of his day (early 20th century), Ryan argued that every person, because they are “endowed by nature or rather by God, with the rights that are requisite to a reasonable development of his personality,” has a natural right to share in the earth’s products. The primary natural right to subsist on the bounty of the earth exists at all times; in an industrial society that right takes the form of a living wage. Subsistence, a bare livelihood, is the product of man’s right to life; a “decent livelihood” is demanded by man’s dignity. How secure is your vote? Have you ever asked, “Why ARE we using non-verifiable touch screen machines to cast our votes?” Do you think optical scanning can’t be fiddled with? What about purging of voters from electronic voter registration books? Think those can’t be hacked? Who do you trust when the topic of “election fraud” is talked about? Why do we accept non-verifiable touch screen voting without even asking if it’s safe? We here at Wisdom Voices Press have long written about the problems with voting in this country. For example, our September 2015 newsletter talked about the continued assault on voting rights; the efforts to suppress legitimate voters from casting their votes; and the antiquated voting machines currently in use. Our web site is full of features and blogs that chronicled our efforts to fight against voter suppression laws that have all too frequently found their ways into Republican controlled state houses since 2010. One person/one vote (that actually can be verified) is the foundation of our democracy. Tamper with any of that and what do you have left? Discussions about problems with how we vote and who we keep away from the polls is a complex topic with many tentacles. The key to any conversation is to understand the difference between voter fraud and election tampering. As has been documented at great length by many different sources ranging from The Brenan Center for Justice to The Advancement Project, voter fraud is virtually a non-existent problem. It was an idea created by mostly Republican-led state governments to limit voter turnout. Election fraud can range from tampering with electronic voter registrations, to manipulating results from optic scanning machines to casting ballots on unverifiable touch screen voting machines. 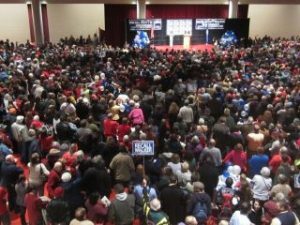 Many voters have reported seeing their votes flip to other candidates right before their eyes. And what paper trail exists for these machine votes? None. We were saddened to see Donald Trump recently grab the national microphone on this important topic. There are so many other sane and intelligent people and organizations who can speak to voter suppression vs. election tampering. As Trump continues to muddy the waters between the two, it’s important to understand that election “fraud” “tampering” and/or “hacking” is a very real problem – or at least possess the potential for real problems. Any political party, any international group, any computer operator in any part of the world can tamper with electronics. How many of us listen to the daily bombardment of advertising by companies clamoring to protect our identity from sophisticated on-line hackers. When power, control and billions of dollars is at stake in elections do we really think that tampering can’t happen to electronic voter rolls and votes? Does it happen? Many of us think so; many other think not. But to deny the potential in today’s sophisticated hacking world is like the ostrich putting its head in the sand. We highly recommend a listen to his fact-based look at the vulnerability of our system of casting votes. Harvey Wasserman, an independent journalist and co-author of the book, “What Happened in Ohio: A Documentary Record of Theft and Fraud in the 2004 Election” talked with Democracy Now in February 2016 about electronic voting machines, and “strip and flip.” His interview can be found here. Black Box Voting, founded in 2003, is a nonpartisan investigative reporting and public education organization for elections. Get lost for a bit of time on their web site. The Brennan Center For Justice warned about the antiquity of the voting machines in use saying there was an impending crisis with aging voting technology. Unlike voting machines used in past eras, they tell us, today’s systems were not designed to last for decades. In part this is due to the pace of technological change. No one expects a laptop to last 10 years. And although today’s machines debuted at the beginning of this century, many were designed and engineered in the 1990s. The class action suit filed just month ago against the Democratic National Committee alleges multiple incidents of election rigging, including irregularities in the Illinois primary with electronic voting manipulation. 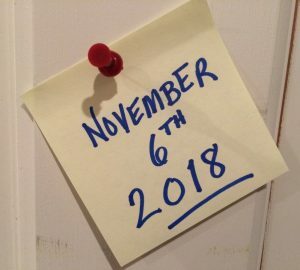 Paper ballots. Hand counted and verified. Some things in life should take time. You want instant coffee or microwave popcorn? That’s great. But the foundation of one person/one vote that is counted is something that should take time. The problem, however, with hand marked paper ballots is that most of them are run through optical scan computers to be scanned. The problem is, they often don’t work. You can’t tell whether they have worked properly, whether they have accurately recorded the vote, unless you actually hand count the paper ballots — begging the question of why the hell are we using these optical scan systems in the first place. So when you have a paper ballot, at least it is verifiable if anybody bothers to do a hand count. But we don’t bother to do so in this country; almost never. When problems are found, often they are completely ignored. So that’s why I’ve argued for years now that the most transparent and reliable way to run an election is to hand count the paper ballots at the precinct on election night publicly in front of everyone with the results posted at the precinct before those ballots are moved anywhere. Short of that, it really is faith-based elections. Brexit: Done On Paper Ballots. But for the US, which is not a party to the EU, there is also a huge lesson: ‘Brexit,’ despite being opposed by the political establishment — Conservative and Labor — and by the corporate elite of London’s City, the financial capital of Europe, won this vote. And the reason the opponents of UK membership in the EU were able to win against all that powerful opposition, has, in no small part, to do with the fact that all the voting was done on paper ballots. Ireland Tosses Electronic Machines: What did the Republic of Ireland do after its trial run with e-voting? Esquire’s Charlie Pierce explained back in 2012 why they were literally scrapped. Our final thoughts as we head toward the end of this 2016 election season. Listen to who is actually making the claim of either and the “proof” they produce. If you vote on a non-verifiable touch screen voting machine, ask yourself why it’s done that way and how confident you are that your vote is being accurately counted. 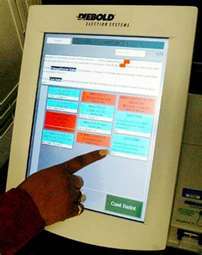 When we have corporate media producing corporate candidates, why do we outsource our vote counting to corporations who make these non-verifiable touch screen voting machines? Don’t kid yourself. Any person and any party can hack any database, anywhere. This problems has been with us now for decades. Will we continue to ignore it or finally ask ourselves, “if they can hack my banking account, why can’t they hack an election? – whoever the “they” is.